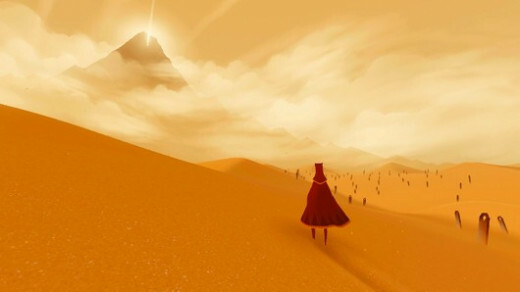 In a generation filled with titles that emphasis over-produced, reflex-heavy, non-stop adrenaline rushes, Thatgamecompany has served as the unofficial chill pills of the industry. Their previous works, Flow and Flower, have put simplicity and beauty over complexity and challenge to provide some of the most zen-like experiences in gaming. That mentality combined with a ton of ambition gave birth to Journey, and it's their best title to date. 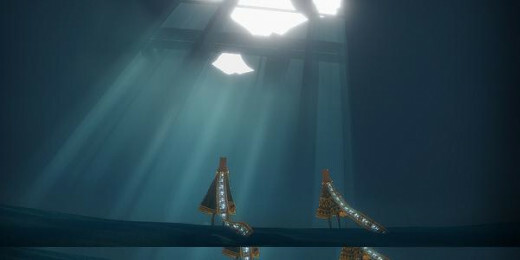 Journey's premise is simple. You are a mysterious robed traveler. Before you lay a seemingly endless desert; a glowing mountain top shimmers on the horizon. Your goal is to reach the summit of that mountain. Screenshots do not do this game justice. 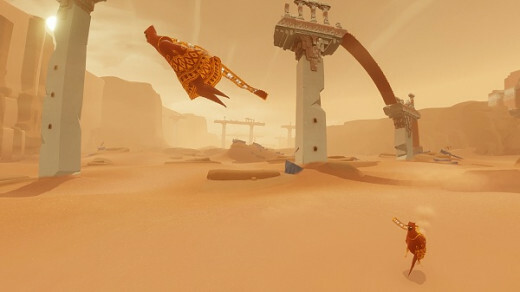 Journey is absolutely beautiful in motion. The way fabric elegantly dances in the wind, how sand sinks and morphs with each step as it radiates in the sunlight; everything looks fantastic. Speaking of the desert, and this may seem trivial, but Journey has the most gorgeous sand effects I’ve ever seen in a game. The silky smooth animation and arresting art style made me feel like I was playing an artsy animated film than a video game. Controls are appropriately simple. Your enchanted scarf helps you soar and float like a dandelion in the breeze. Tattered pieces of fabric lengthen the scarf, thus increasing the distance you can glide. A simple signal or “chirp” serves as a primitive but effective form of communication between you and other players. 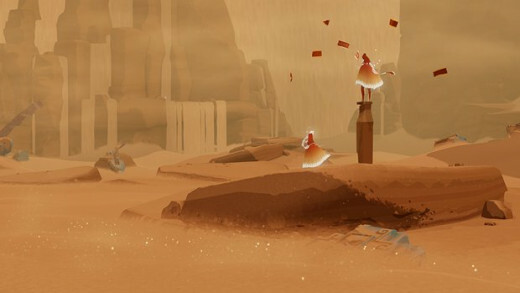 There is some light puzzle-solving (and I use that term loosely) and the occasional obstacle but Journey emphasizes the beauty of the adventure over challenging your skill. 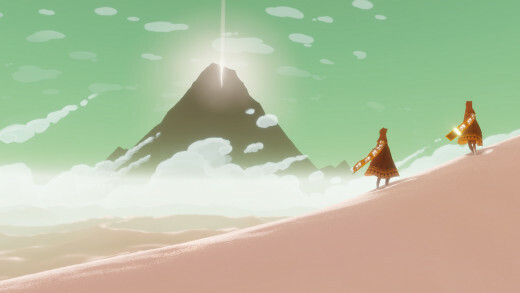 Traveling alone or with other players creates totally different experiences, so I recommend playing Journey twice (it won't take long; the game takes roughly two hours to complete). Alone, you can explore freely without having to worry about slowing down a partner and I found the seclusion gave me a feeling of private tranquility. But to really appreciate what Journey's trying to do, you absolutely must play with another person. 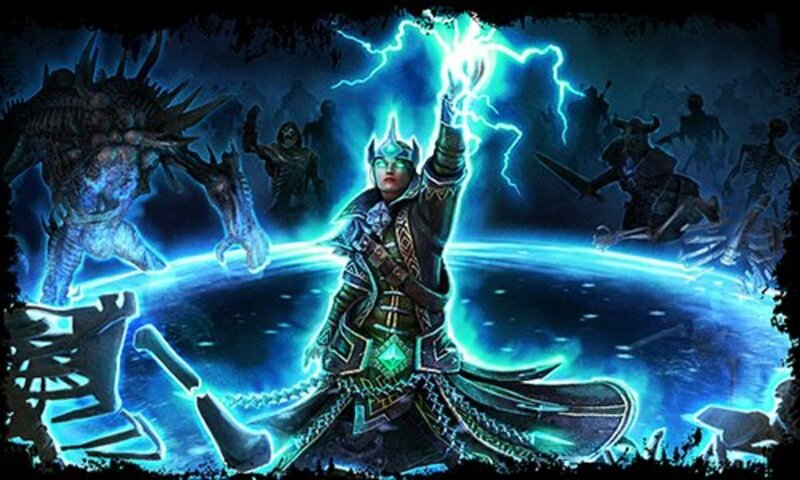 Playing online will populate the world with other players taking their own journeys. Teaming up is as simple as approaching people and following them but keep in mind that players are always anonymous. They’ll never be anyone on your friend’s list, so scrap any co-op plans with your buddies. The idea is akin to hiking alone in the woods and encountering another hiker. You’ve never met, but you already have a common bond that comes from sharing a mutual interest. Successful cooperation feels much more rewarding when you’re collaborating with a faceless stranger as opposed to a friend. While you don’t have to team up with someone if you don’t want to, exploring together can have significant perks. 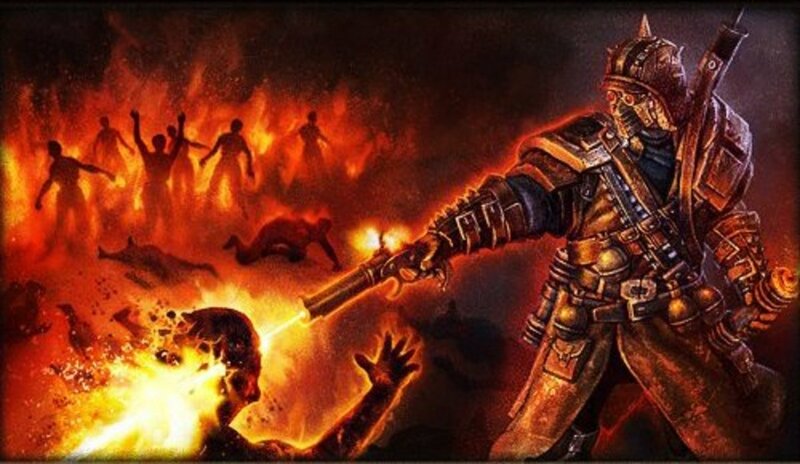 Experienced players may lead you to secrets you may have missed otherwise or could tip you off to approaching dangers. Players can also replenish each other’s scarf power. If you’re not particularly fond of a companion, you’re free to abandon them at any time. 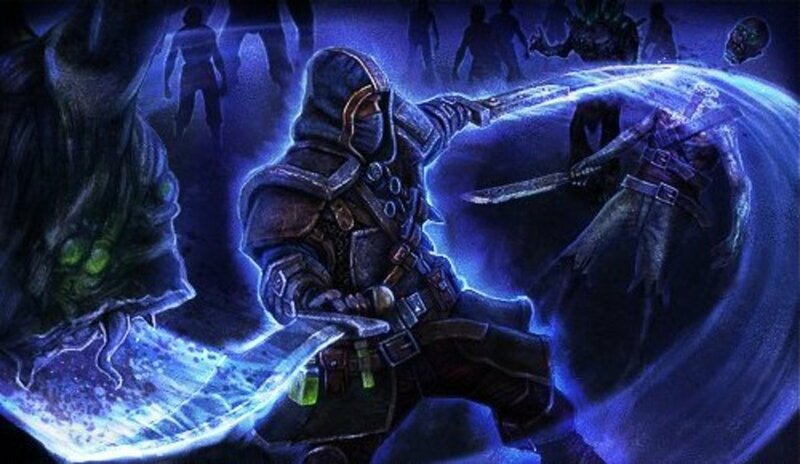 My experiences with online gaming have left a rather jaded image of most gamers as being self-centered loners, so I was surprised at how eager each person was to buddy up and were even more amazed by how patient they were. Whenever I lagged behind, my companions would always patiently wait for me to catch up. I once had trouble making a jump, and a companion came back across to show me the proper way. Of course, I can’t guarantee that every player will be as kind, but I was very impressed with the ones that were and my cynicism towards online players has faded a bit. Here’s a brief look at one such player. At one point, I reached the base of a mountain, engulfed in a fierce blizzard. Just then, another robed figure emerged from the whiteout. Clearly they’d been waiting for another traveler to tackle the storm with. I quickly became grateful of my new companion after only a few minutes together. Sticking close together, we kept each other’s energy up, which the blizzard was rapidly draining. We steered each other away from numerous dangers until we were able to escape the snowstorm; all with only a few chirps and a ton of trust. That unique feeling of companionship is worth the price of admission alone. Journey is not for everyone. If you go into it expecting constant challenge and reward, you’ll likely be disappointed. While you have an end goal, the real satisfaction comes from exploring the scenic locations and sharing your experience with others. On that front, Journey triumphs.